Millicent Mackenzie was the first female professor at a fully chartered UK university, in 1910. 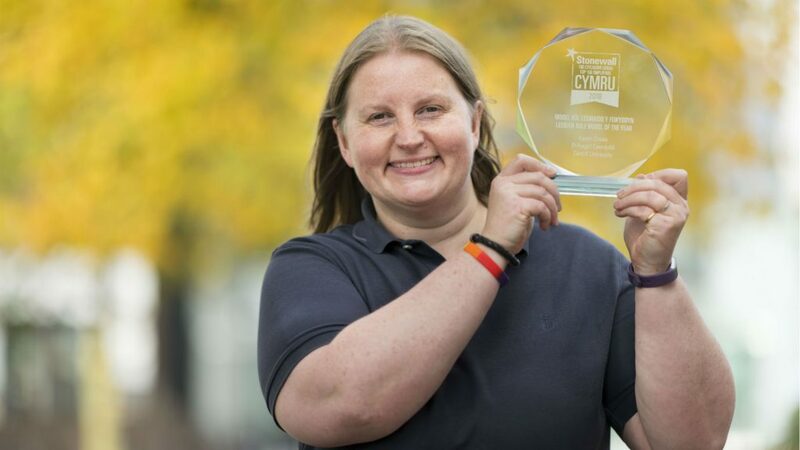 Her legacy as a game changer continues to be embodied by modern Cardiff staff and alumni who are determined to change the world for the better in their own spheres. Karen Cooke (BMus 1996) is now Organisational Development Manager at Cardiff University. She also chairs Enfys, the University’s network for LGBT+ staff and postgraduate students. This year, we mark 100 years since some women were given the vote in UK parliamentary elections. Cardiff takes a special pride in being home to Millicent Hughes Mackenzie, one of the architects of the suffragette movement. She was the sole female parliamentary candidate in Wales in that pivotal year. 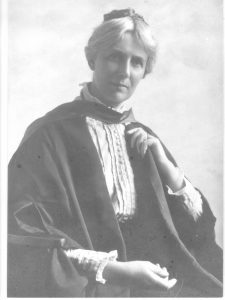 She was also first female professor at a fully chartered UK university, taking up the post of Professor of Education (Women) at the University College of South Wales and Monmouthshire in 1910. Today we know that College as Cardiff University, where Millicent’s passion for equality and social justice continues to be reflected in students, staff and alumni. Her pioneering example inspires me personally in my work as Chair of our staff and postgraduate LGBT+ staff and postgraduate network, Enfys. Every day I am motivated by ensuring that people can be themselves in a professional context and Millicent’s template for equality plays no small part in our work. Today, Cardiff is ranked 14th of all UK employers by LGBT+ rights charity Stonewall and we only aspire to be better. But I’m not alone in drawing inspiration from Professor Mackenzie’s example; in 2018 as in 1918, Cardiff continues to produce game changers.